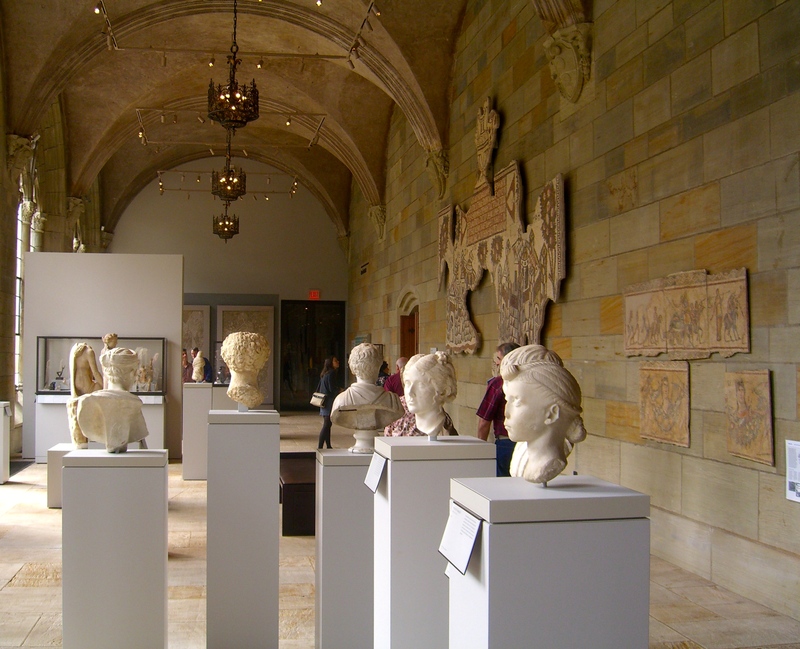 Walk into a 3rd-century Church at Yale Art Museum! What was the Christian Church like in the mid-3rd century? 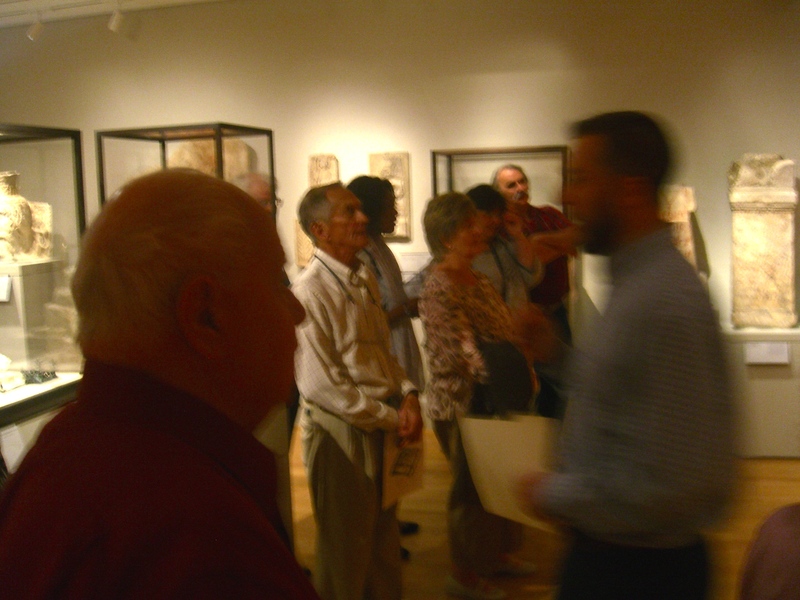 Recently, fifteen of us from Holy Ghost Church took a tour of the “Dura-Europos” exhibit at Yale University Art Gallery in New Haven to find out. Dura-Europos, now located in modern Syria, was once a Roman outpost. In the mid-3rd century it was home not only Roman soldiers but also to a fascinating mix of ancient cultures: pagans, Christians, Jews, and adherents of mystery religions and cults. Eventually the city was overrun by Persians, abandoned by Rome, and buried in the desert sands. But it was unearthed in the 1920s and 1930s during excavations sponsored by Yale University and the French Academy of Inscriptions and Letters. 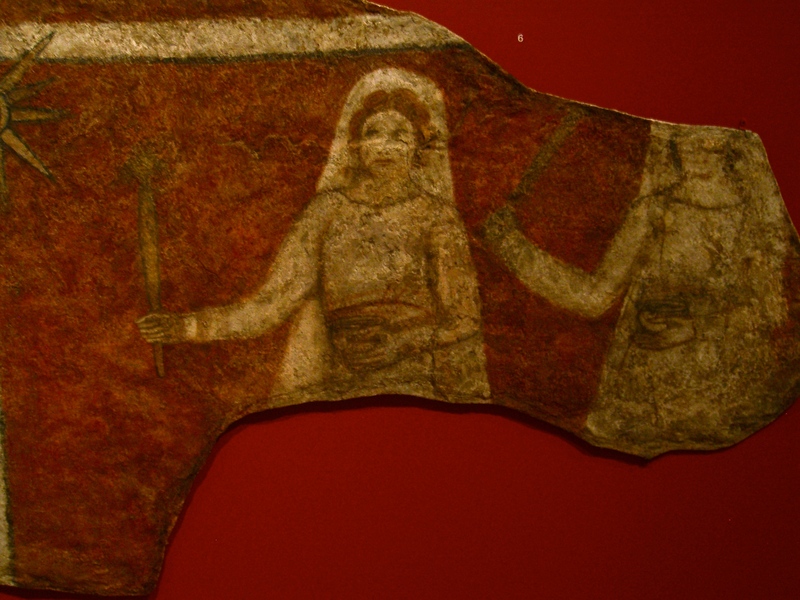 Archeologists found astounding artifacts: a shrine to the god Mithras, a synagogue whose assembly room walls were covered with painted biblical scenes, and one of the earliest Christian house churches. The paintings and sculpture from these buildings—and the over 12,000 artifacts of daily life excavated by the archaeologists now preserved at the Yale University Art Gallery—present a vivid picture of life in a Roman city in the 3rd century A.D.
For us Orthodox Christians, the house church is an especially priceless find. What is a “house church” and why is finding it so important? We know that prior to the 4th century, Christians met in homes to worship; they were not free to build churches, since their religion was not sanctioned by the Roman Empire. So, they designated sections of their homes for common worship, and they met secretly together to celebrate the Eucharist. 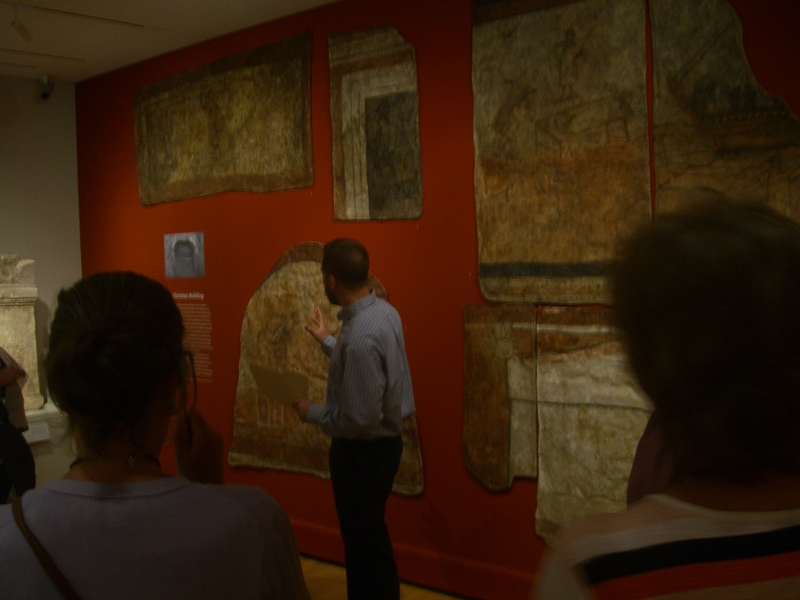 The Dura-Europos exhibit at Yale University Art Gallery includes whole sections of walls from a portion of a house church that was used as a place to perform baptisms. These wall sections now supply us with first-hand evidence of the earliest Christian art, and they provide us with clues as to how early Christians worshipped. We gaped at the primitively painted but unmistakable gospel story images on these wall sections: the Samaritan woman at the well; Jesus the Good Shepherd; the healing of the Paralytic; the Apostle Peter grasping the Lord’s hand on the waters of the sea. We were gazing at some of the very first icons ever painted! 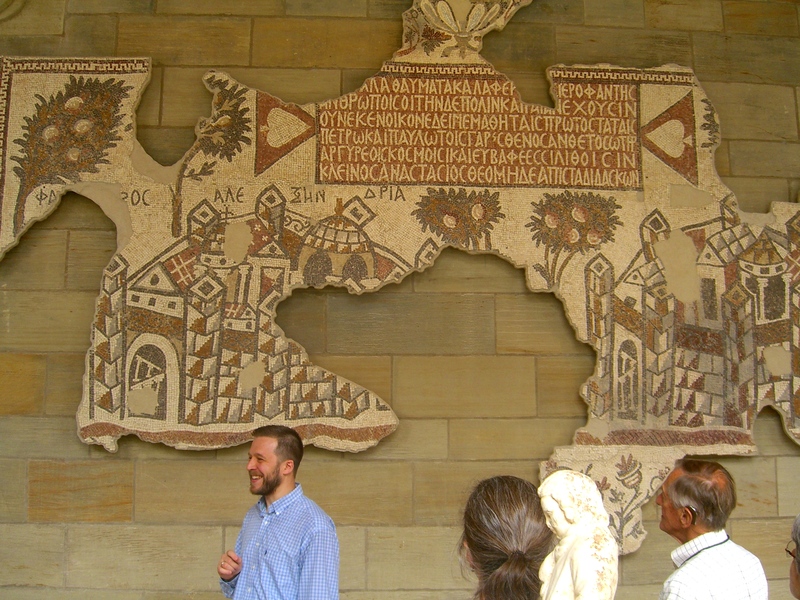 Deacon Evan Freeman, a graduate of St. Vladimir’s Seminary and now a doctoral student in the field of Byzantine Art History at Yale University, acted as our guide. We were so impressed with the exhibit that we are planning another tour with Deacon Evan, so that more of our parishioners may step back in time into this utterly fascinating space. You’ll be hearing about an upcoming August tour soon, and I’ll let you know when a sign-up sheet is available. P.S. Thanks to Frank Krasowski for the photos! Thank you for your interest! Fr. Steven will be contacting you in August regarding the next tour!